The story you are about to read is true. The names have not been changed, to give credit to all the true believers. 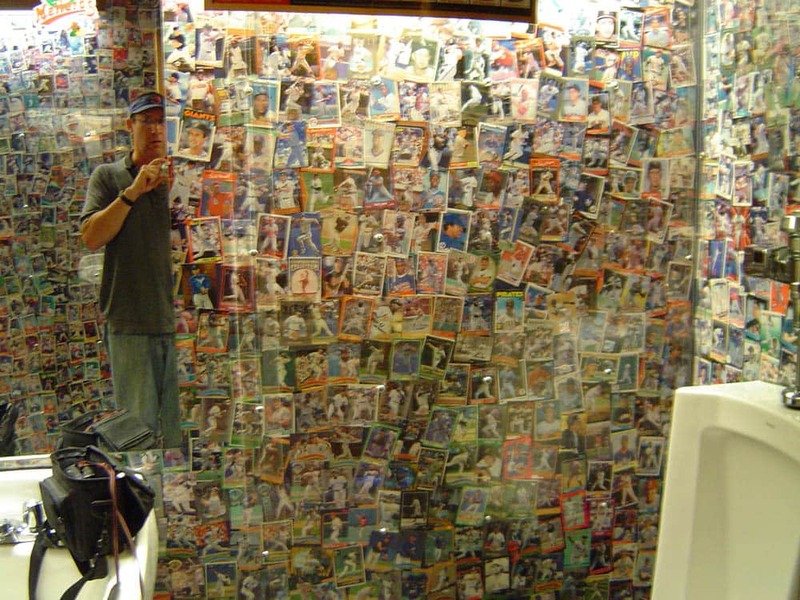 He kept his thoughts to himself for two weeks, came up with an ambitious plan, and asked his wife if he could follow the dream of creating a smaller, accurate, high quality version of Wrigley Field for entry level baseball players to learn the game on. She asked if it would require him to be out of the house for long periods. 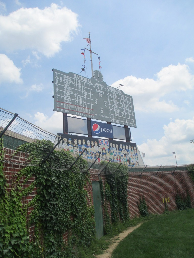 The Chicago Cubs gave their blessing, a private tour of Wrigley Field, and cuttings of ivy from the iconic walls of the stadium. 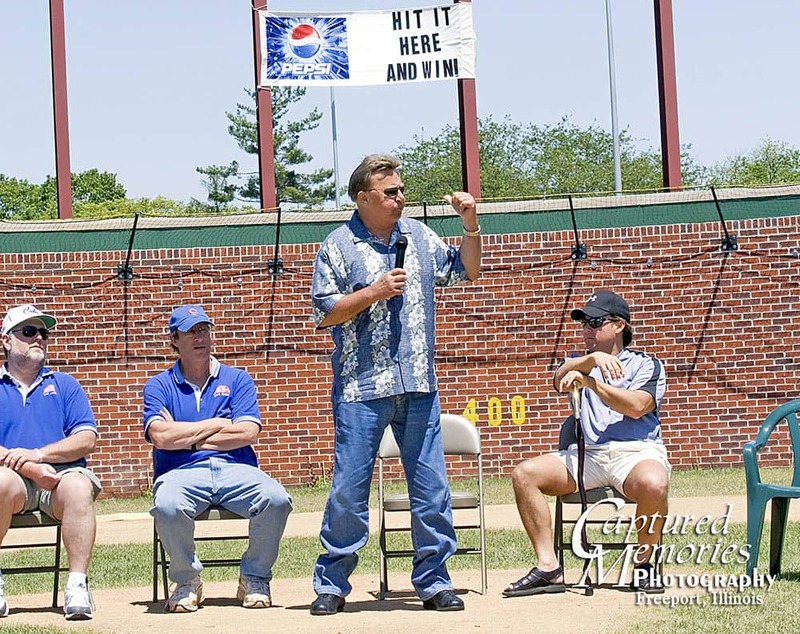 They also provided the contact number for Ron Santo, who was the Guest of Honor in June 2008 for the Grand Opening. The Freeport Park District gave permission to use a corner of Read Park for the project, gave some matching funds, and shared valuable positive guidance. Mark Winter, President of Winter Construction is a lifelong Cubs fan and a friend of Denny’s who shared his childlike vision. He brought his actual construction expertise to the project. It had been a long time since Denny had coached Scott Winter in Little League, but now Scott had just earned his architectural degree from the University of Illinois. He designed the field free of charge. 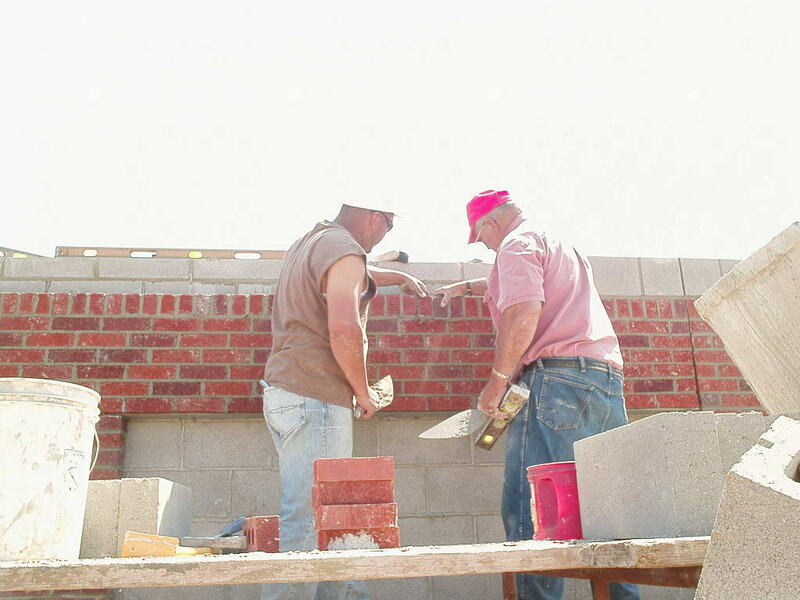 Dozens of local business leaders donated over $400,000 of skilled labor to do site work, carpentry, electrical work, cement finishing, plumbing and bricklaying over a two year construction period during 2006-2007. Hundreds of local volunteers provided unskilled labor during this time. 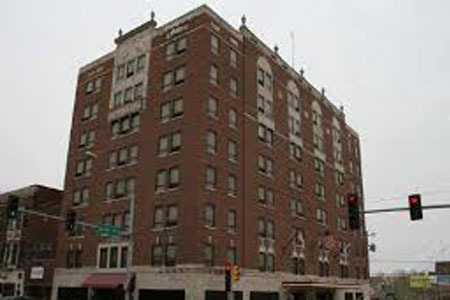 Local hotels and restaurants supplied free lodging and food for all bricklayers for 4 months during the summer of 2007. 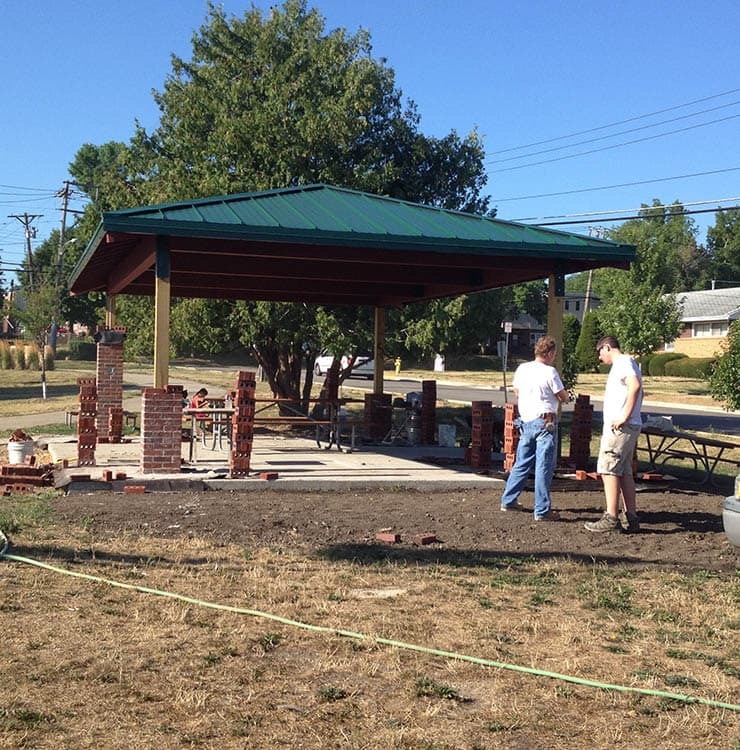 Boy Scout Alex Marck of Troop 4 oversaw the funding, design and creation of a picnic pavilion for the field. 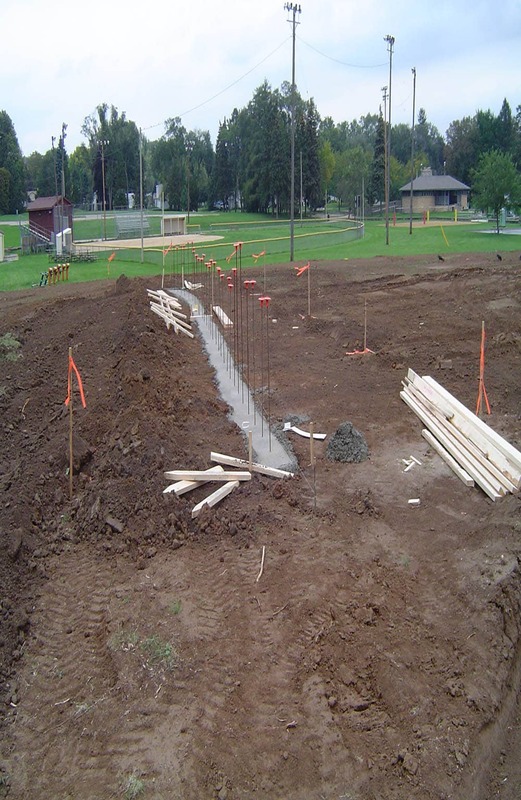 It was one of the most ambitious Eagle Scout projects ever completed in the Blackhawk Council. 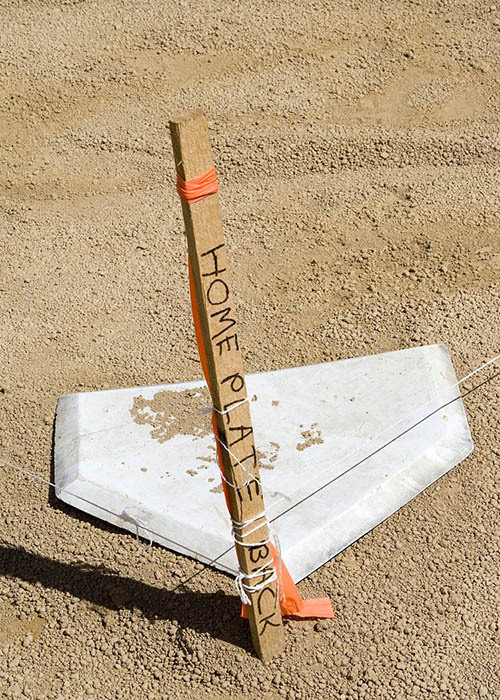 Manufacturers near and far donated or sharply discounted the materials needed to build the field. Banks, service organizations and individuals who believed in the project donated what they could. 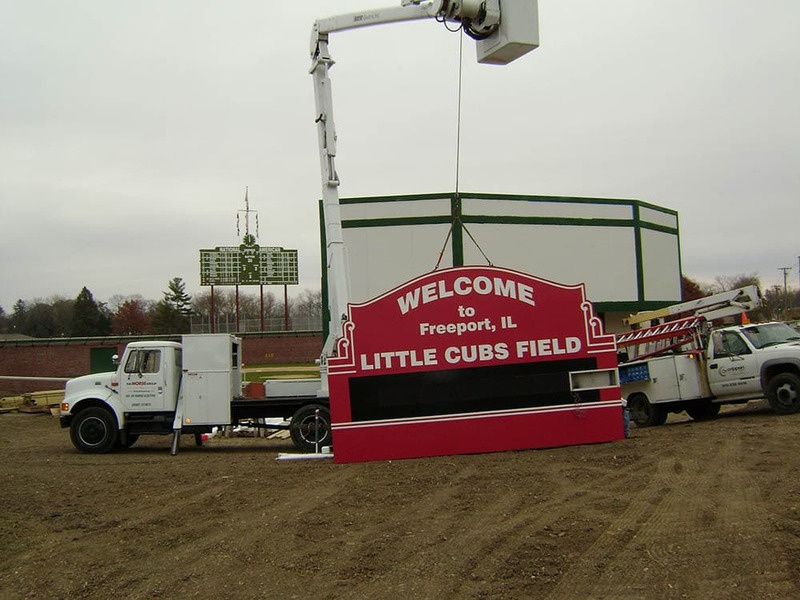 A local web designer, Greg Chambers, created a site to spread the word about Little Cubs Field. 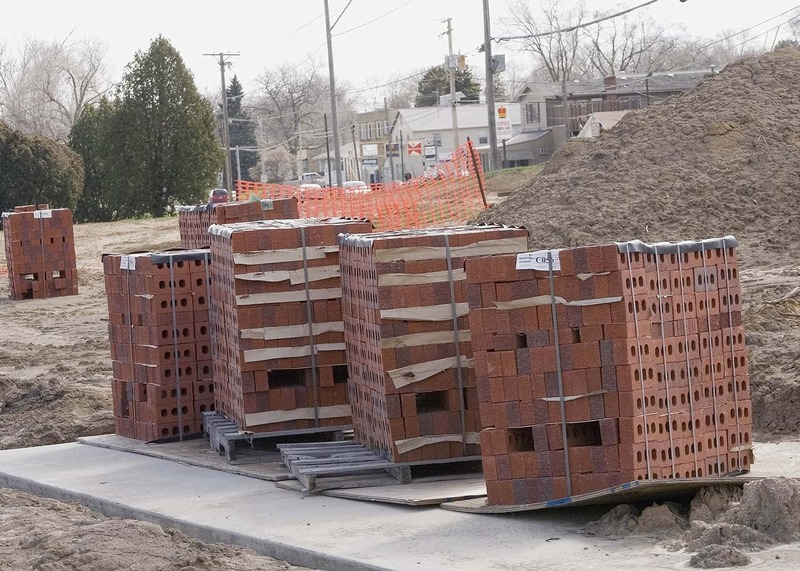 Local government arranged variances, support, and infrastructure to upgrade the area. 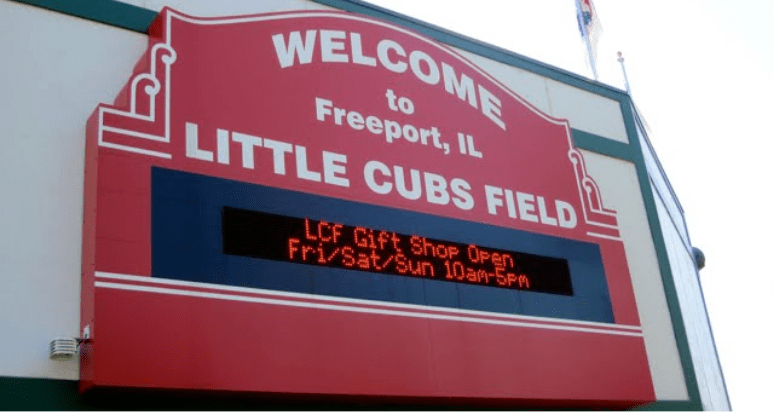 Local visionaries and true believers formed a non-profit to guide Little Cubs Field from crazy idea to completed vision. The end result? Just the most unique Little League baseball field in the world! Little Cubs Field opened April 25, 2008 with Dutchie Caray (widow of former Cubs announcer Harry Caray) throwing out the first pitch to Pete Vonachen, Harry’s best friend and eulogist. The field is owned by the community of Freeport and all those who’ve helped build and sustain it. 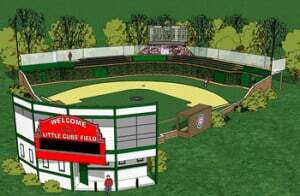 It was built not just by Cubs fans, but by baseball fans and those who believe in making dreams come true. Together we built a place where “where grownups can be kids and kids can be grownups”. If you’d like to experience the field for yourself, click here to plan your visit. Want to reserve the field?